Schedule and Reminders Management Software is an effective tool to create and track schedules, appointments, meetings, reminders, and alerts. The schedule is basically time management tool consists a list of all possible task or events which will intend to take place on specified date, time and venue. The process of scheduling is that firstly you need to decide which all activities to be done, then fix the date, time and venue for scheduled tasks/ or activities. Lastly, plan for resources that are to be utilized effectively and efficiently. The reminder is a message that is sent either in written or spoken form to communicate person on doing something. In School Management Software, this module helps to create and track all the activities that are being scheduled for the upcoming week and month and also send reminders related to due fees by message or by email. Reminder and Schedule module plays important role in School Management software as it creates and stores all the list of tasks/ or activities that will be conducted. Suppose you have scheduled an event “Debate Inter- House Competition” on 5th November 2016 and in between you have other tasks to perform. 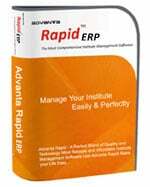 If goes with existing system, you will write about this event somewhere on paper or will mark in calendar which has more chance to be lost, but with Advanta Rapid ERP school management software, you can set an alarm for either particular date or one day before for the reminder and all the available resources are arranged. 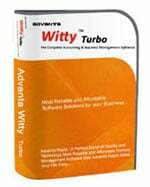 It is very easy to use and user-friendly software. The Schedule and Reminders Management Software module is integrated with school management system, college management software, and institute management software. It has the facility to set and track for all the activities/ tasks that have been scheduled for coming weeks and months and setting up of reminder alarms like for pending fees. In a single window, you can get all the details for the reminders and schedule being set along with their status if it is complete or still pending. If you have set certain due date and time, then on a particular date only alarm will ring with notes specified. This module is very easy to use and all the details regarding schedule and the reminders are stored in a single window. You can easily define priority basis (highest, high, lowest, low, medium), category (important, none, business, phone calls, personal, meetings, anniversary) and status (pending and complete) for schedule and reminders. While creating schedule and reminders, you can specific due date and timings and can set an alarm for that date. With this module within few seconds reminders and updated schedule reach out to parents and students. This module saves time as messages directly send to mobile and email accounts and in case there is any schedule being changes, direct message is being sent and eliminates phone calls. Step 1: List down all the event/ tasks/or activities that are intended to take place in upcoming week or month. Step 2: Decide on the dates, time and venue for activities. Step 3: Plan for a Scheduler, to whom all the responsibility will be given for utilization of resources in a proper way. Step 4: Setting up an alarm/ or reminder to inform management team, teachers, students, and parents. Need more information on Schedule and Reminders Management Software? Contact us for a free demonstration of Schedule and Reminders Management Software.